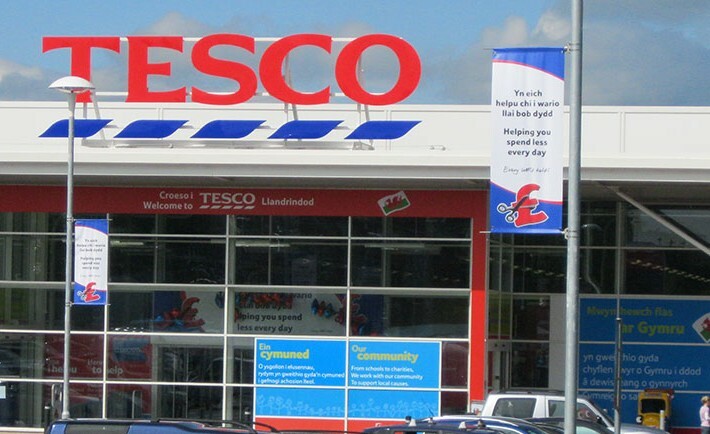 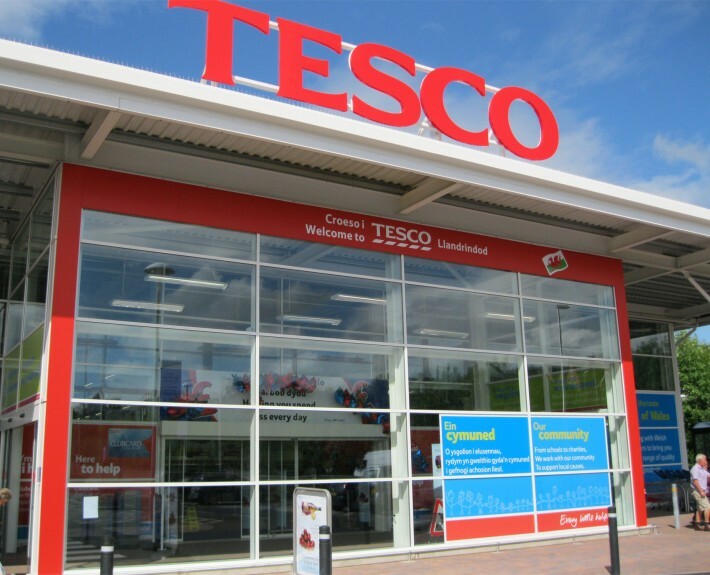 To facilitate the development of the Tesco’s new store in Llandrindod Wells, HLN were firstly involved with the relocation of several exisiting occupiers of the site. 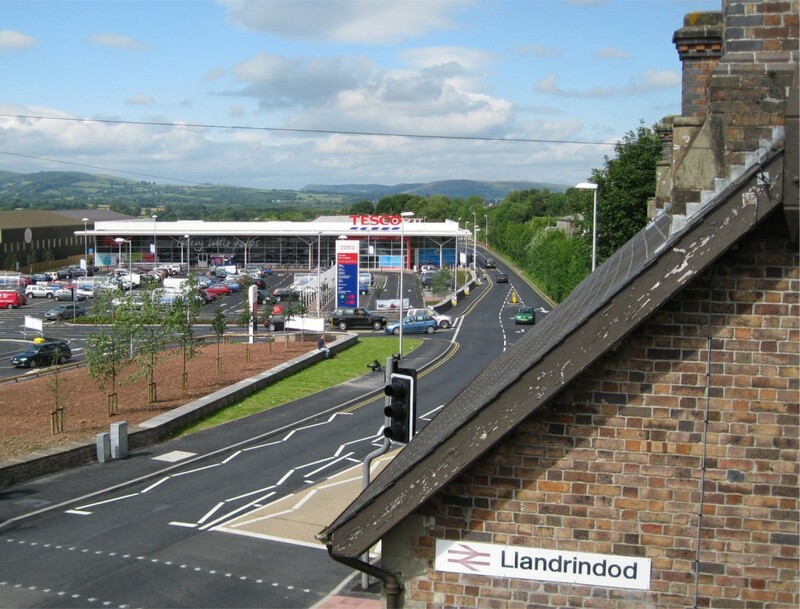 This included the development of new buildings for Western Power Distribution and the TA/ATC with Llandrindod. The new store sits between Llandrindod’s Conservation Area and its industrial zone. 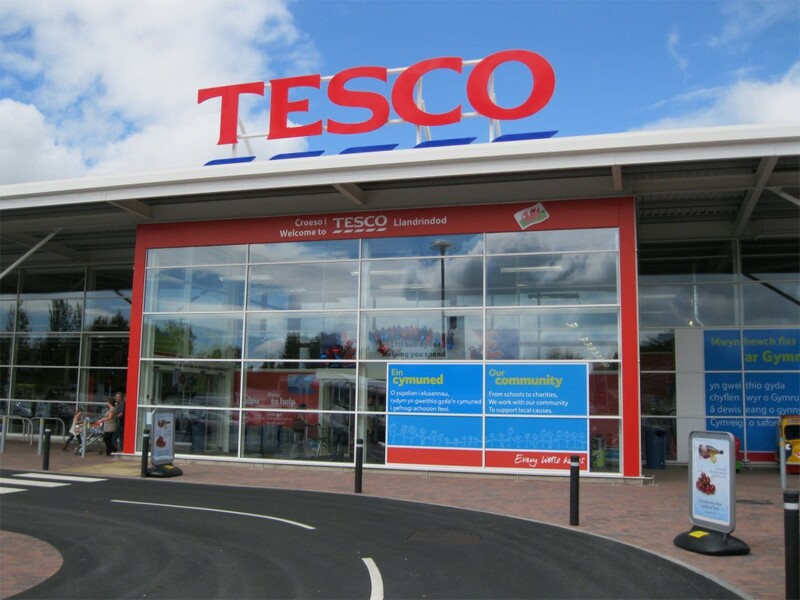 The design of the development opens up the space between both, creating a clear demarcation between the Victoria Spa Town and the town’s more recent industrial history, with the store being deliberately designed as a contemporary insertion to emphasize this demarcation. 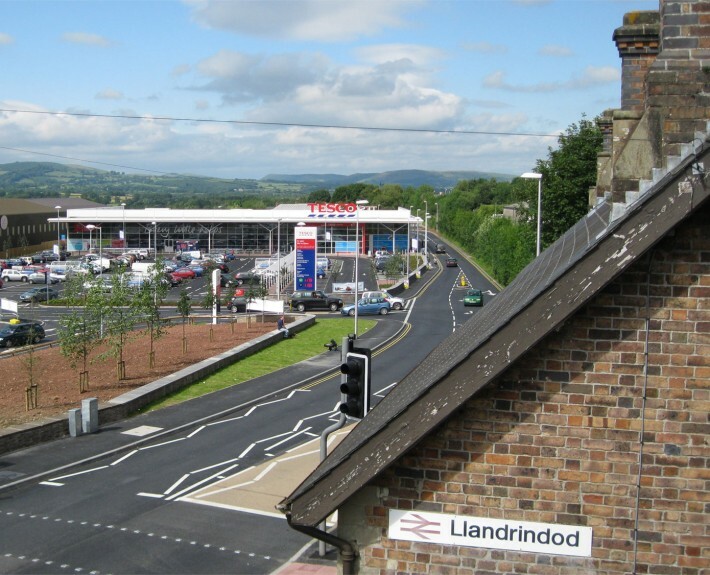 This design approach was supported by the Design Commission for Wales at Planning Stage which assisted in the delivery of the Planning Consent. 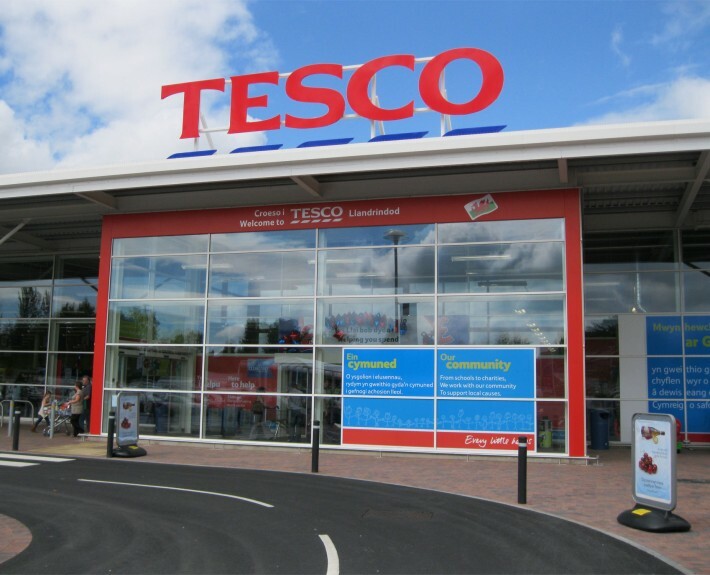 The store design takes the form of Tesco’s corporate concept style with some minor modifications and provides customers with the latest retail facilities and services. 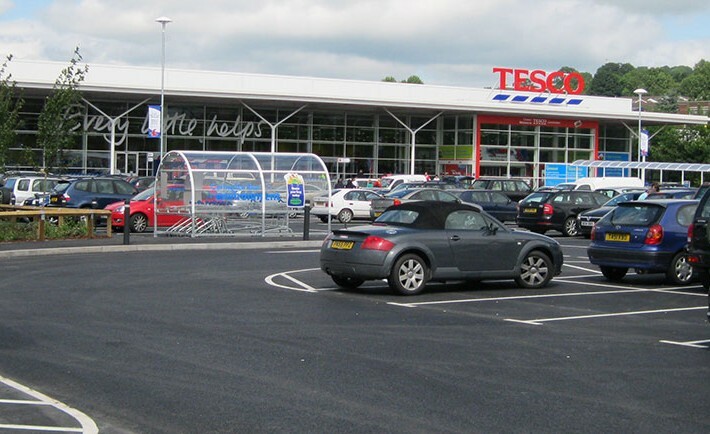 The fully glazed store frontage onto the customer car park allows views out and daylight in and creates strong connection between inside and outside. 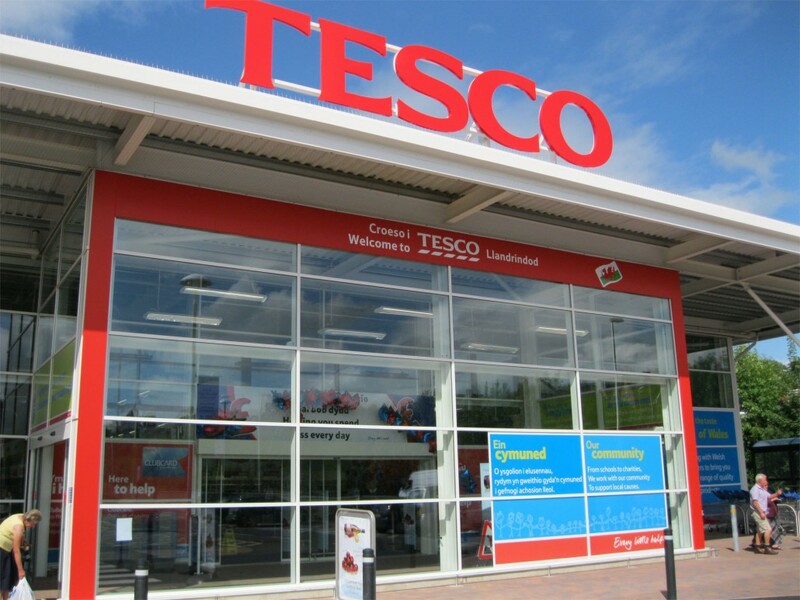 A canopy extends the full length of this elevation supported by a colonnade and providing protection from rainfall and shading from the summer sun.